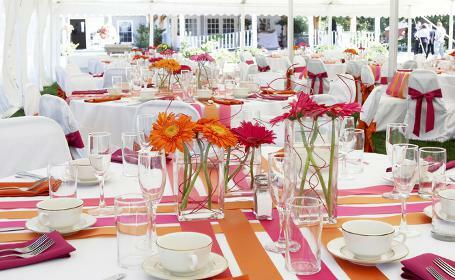 Your party marquee will produce a dazzling atmosphere for your celebration and amaze your guests. Apply coloured fabrics over lining to set your theme. Use coloured lighting effects to produce a vibrant atmosphere. Produce a dramatic effect with ceiling drapes and accessories. Our team can help you with theme ideas and recommendations. For further information and pricing add your Quote Requirements Here. Marquee flooring hire which can dramatically transform the look of your event. Traditional swags (Ivory or choice of colours). Contemporary pelmets in a range of shades. Starlight blackout lining above your Dance Floor. Coloured Floor up lights (choice of tinted gels). Get Your Quote Here to find out our prices and how you can transform your event. 1. 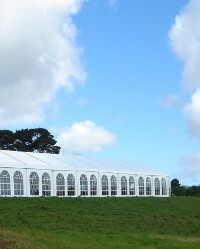 The size of marquee you require for your event. if you know the size you require, use our marquee planner to help you visualise your interior layout. 2. Suitability of your event location. Use our quote form and our team will arrange a visit to determine suitable site options for your event. 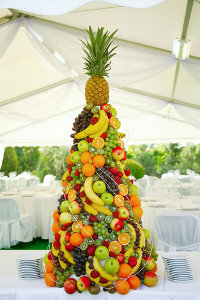 Giving you the flexibility of choosing your own cost effective catering. No additional fees for corkage or venue hire. Coloured carpets for your event which are more cost effective than wooden flooring. Parquet dance floors which are very popular and more cost effective than LED illuminated dance floors. Contact us to find out how you can reduce costs with your personalised Marquee Quote Here.